HNL | Hitech Networks (Pvt.) Ltd.
One Stop Solution for your Energy needs! Hitech Network (Pvt.) Limited is a dynamic group striving to re-define energy solutions. Hitech Network (Pvt.) Limited is a dynamic group striving to re-define the energy industry. With more-than 15 years of experience, we are a pioneer and currently the largest vendor of Managed Services to telecom operators in Pakistan, with network of over 46 offices across four provinces. HNL also offers Overhauling Services for diesel generators and Product Supply Services to Telecom and Industrial Sectors of more than 30 international brands. 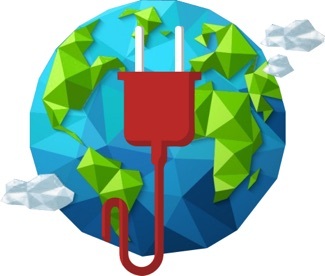 Our platform is designed to offer custom-made power solutions, genuine spare parts, renewable energy systems & related end-to-end services for our clients! An official Dealer of AGG (UK), HNL renders complete range of services (i.e. Supply, transportation, installation, testing, and commissioning & after-sales services) for Diesel Generators, DC Generators and other power products i.e. ranging from 5KVA to 1.5 MW. Currently HNL offers all major Diesel Generator brands and their genuine spare-parts including Perkins (UK), Marapco, JET Generators, Cummins, John Deere, Lister Peter, Kabuta and many other prominent Chinese brands to a wide customer list. We have one of the largest warehousing facilities among our competitors and we proudly claim to be the market leader! 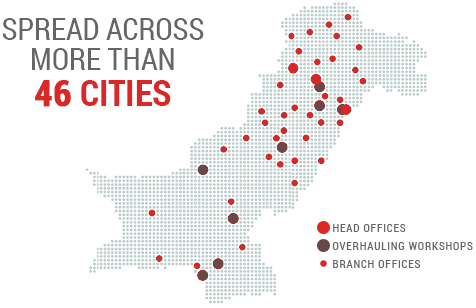 A family of over 1000 employees spread across Pakistan! HNL has “Regional Offices” in Islamabad, Karachi and Peshawar for streamlining management of business entities at regional level. Furthermore, our “Branch offices” operate as functional buisness entities from where field operations is carried out . This impregnated network of over 46 offices allows the streamlining of managerial and technical aspects of business, thus ensuring professional and reliable services to our esteemed customers to farthest corners of Pakistan. Copyright , Hitech Networks (Pvt.) Ltd., All Rights Reserved.